Anyway, pancakes here we are. I asked a bunch of you on Insta (<— follow me!) what you wanted for another zucchini recipe and many of you said pancakes and zucchini bread. So I thought why not combine the two and make a beautiful breakfast combo? Pancakes that taste like bread. Zucchini Bread Pancakes to be exact. Packed with fiber thanks to zucchini. My goodness they are GOOD! Now what you top them with is up to you. 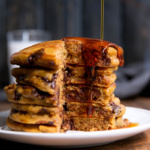 I always go with peanut butter (or my homemade pecan butter would be amazing) and a drizzle of pure maple syrup. Keepin’ it classic. I hope you get a chance to make these fluffy pancakes this weekend. xo! 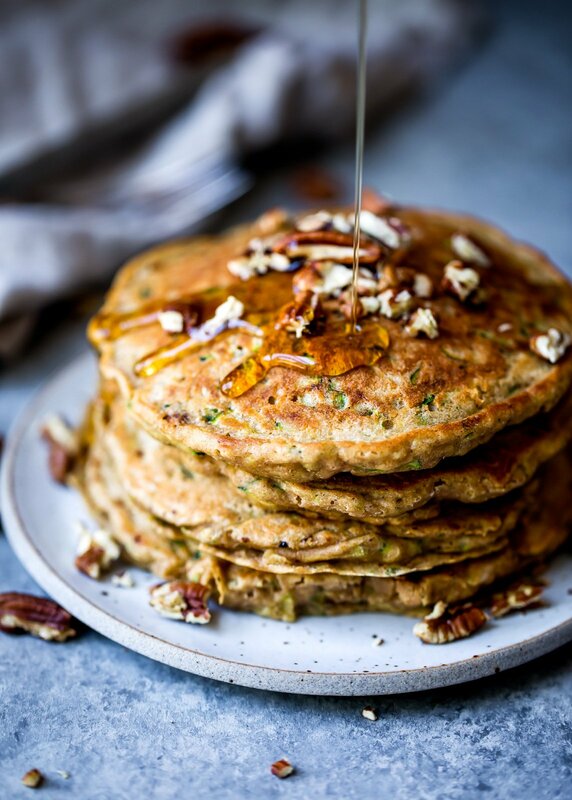 Fluffy whole wheat zucchini bread pancakes with hints of cinnamon and nutmeg. These pancakes taste like a slice of your favorite classic zucchini bread. Add chocolate chips or pecans if you'd like! In a large bowl, whisk together whole wheat pastry flour, baking powder, cinnamon, nutmeg and salt. In a separate large bowl, combine shredded zucchini, egg, maple syrup, coconut oil, vanilla and almond milk until smooth and well combined. Fold in pecans if using. Add dry ingredients to wet ingredients and mix until just combined. If the batter looks too thick add just a splash more milk. If it’s way to wet, add another tablespoon of flour. Lightly coat a large nonstick skillet or griddle with coconut oil or butter and place over medium heat. Drop batter by 1/3 cup onto skillet and spread out a bit with a spoon if necessary. Cook until bubbles appear on top, about 2 minutes. Flip cakes and cook until golden brown on underside, 2 minutes. Wipe skillet clean and repeat with more coconut oil (or butter) and remaining batter. You may need to reduce the heat after the second batch to prevent burning. Serves 4, 2 pancakes each. 40 Responses to "Fluffy Whole Wheat Zucchini Bread Pancakes"
Is there a gluten free option? Would you suggest an all purpose blend? Thank you! Hi Claudia! Yes to both 🙂 enjoy! 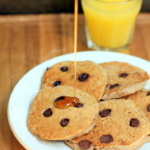 I’m eating these pancakes for breakfast as I type! They’re absolutely wonderful and very filling with the whole wheat flour. One thing to note is that I almost had to double the liquid (added some extra water instead more almond milk). I also used just an egg white instead of the whole egg. Trying to save on calories where ever possible…tomorrow my husband and I are heading to Grand Cayman and I want to start the trip on a good foot! Hi Halina, I just made these again this morning as written and they worked perfectly. Since you didn’t use the full egg, that means the recipe will have lost some of it’s liquid. I have EVERYTHING I need for these pancakes. Breakfast for dinner (aka BRINNER) is likely happening tonight! 😀 YUM! Love zucchini season! SO GOOD! My garden is overflowing with zucchini so when my husband saw these he was skeptical to what other way are you going to feed me zucchini. We both loved them though! Fluffy, flavorful, perfect with a little maple syrup. 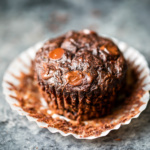 This has to be one of the most delectable-looking recipes of your blog! Anything with zucchini is so appealing to me. I would love to try veganizing this recipe! 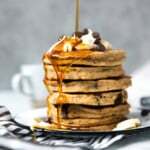 I love these pancakes! I followed the recipe pretty closely, although I changed he flour (used whole wheat flour), and I was so happy with the results! I will be adding these to my breakfast rotation. Hello! Have you made the batter ahead of time to make the pancakes later? I’m wondering if it would save okay for a day or two. Yum!! I just made these gluten free by subbing 1/2 c gf flour and 1/2 c almond flour. SO good! Thanks for the recipe! These were perfection. Included them in my weekly faves and basically raved about them to anyone who would listen. I didn’t have whole wheat pastry flour, so I subbed in 1/2 cup spelt flour and 1/2 cup oat flour, and it was awesome. Oh and I served them with Trader Joe’s mixed nut butter YUMMMMM! So great to hear! And glad that new ratio worked out for you. 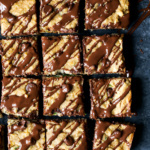 Delish topped with nut butter! 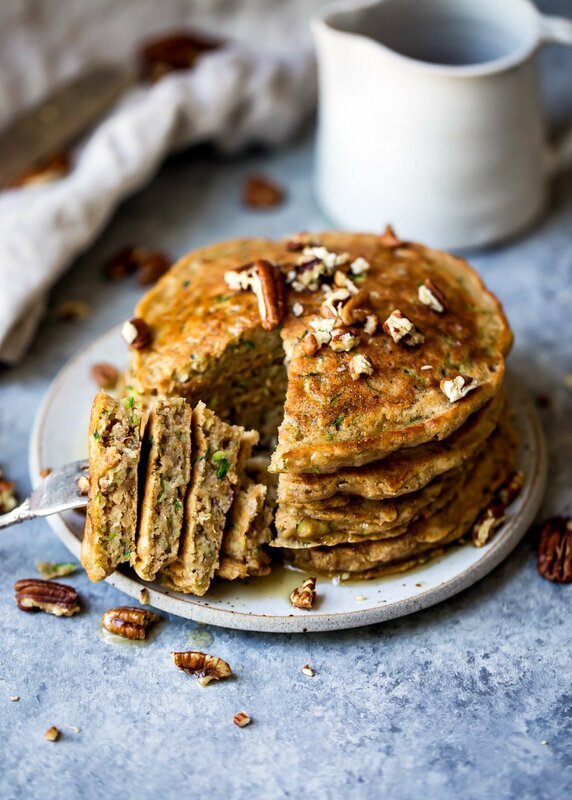 Ummm…Zucchini in pancakes? YES. Such an amazing idea!! I need to get on these ASAP. 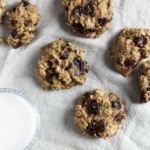 I think these would be amazing with a nice glob of almond butter, and I don’t think I’ll be able to resist some chocolate chips as well. Thanks for the inspiration! SO GOOD! And absolutely yes to the almond butter! Right?! The sneaky zucchini is amazing in here 🙂 Glad those swaps worked out for you!